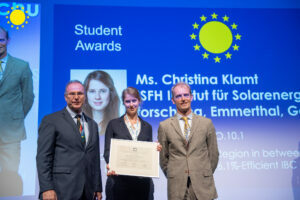 Brussels (Lim): Christina Klamt, PhD student at the Institute for Solar Energy Research Hameln (ISFH), has won a “Student Award” at this year’s European Photovoltaic Solar Energy Conference (EU PVSEC). She impressed the scientific committee with her work on the “intrinsic poly-crystalline silicon region in between the p+ and n+ POLO contacts of a 26.1%-efficient IBC solar cell”. 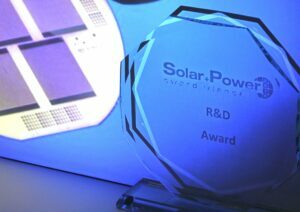 In addition, ISFH was also recognized in the Research & Development category of the “Solar + Power Award” for the development of POLO contacts. POLO (polycrystalline silicon on oxide) is a type of contact for the next generation of crystalline silicon solar cells. At POLO contacts, electrical charges are more effectively extracted from a solar cell than before. 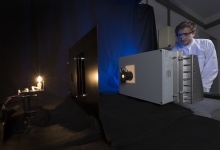 As a result, solar cells work more efficiently. POLO contacts thus have the potential to further reduce the price of solar power, which is already cheap today. In the past, it has been shown that the POLO contacts of the two different polarities must not touch each other directly, otherwise excessive leakage currents will occur at this point. If the contacts for negative (n+) and positive (p+) polarity are located on different sides of the solar cell, this is easy to implement. However, the polycrystalline silicon on the front side of the solar cell then absorbs a lot of light, thereby reducing the efficiency of the solar cell. This is why, for the 26.1% solar cell, both contacts were moved to the back and arranged in an interlocking finger structure. In this case an electrical separation between the n+ and p+ POLO contacts is necessary. Through her work, Christina Klamt proved that it is possible to achieve a well-functioning electrical separation of p+ and n+ POLO contacts with a nominally intrinsic region in the polycrystalline silicon. This region must be wide enough to allow electrical isolation, but not too wide, otherwise the surface passivation would suffer. This approach allows a significant simplification of the manufacturing process for this type of solar cell. At the same time as the EU PVSEC, the Solar + Power Awards 2018 were presented. In the category R&D (Research & Development), ISFH won for the development of POLO contacts. 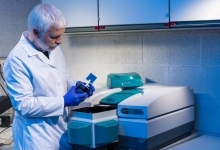 This includes ISFH’s pioneering work in adapting polysilicon contacts for modern photovoltaics, in particular, the fundamental theoretical considerations and careful experimental investigations of the physical mode of operation of the contacts. After all, an understanding of their mode of operation made it possible to develop p+ POLO contacts of excellent quality and thus the record efficiency of 26.1%. “The prizes are a great honor for ISFH,” says Professor Robby Peibst, group leader and academic supervisor of Christina Klamt, and thanks all those who have been involved in the POLO technology since 2012. He adds: “With POLO technology, we have made an important contribution to the overall progress in photovoltaics. Now we are supporting our industrial partners in transferring the technology into application. There are now so many excellent results from different groups in this field that this will happen very quickly”. 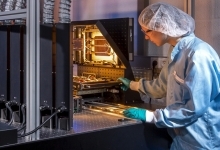 POLO research at ISFH was carried out in close cooperation with the Institute of Electronic Materials and Devices (MBE) at Leibniz Universität Hannover. It was financially supported by the Federal Ministry of Economic Affairs and Energy (BMWi), the European Commission and the State of Lower Saxony.